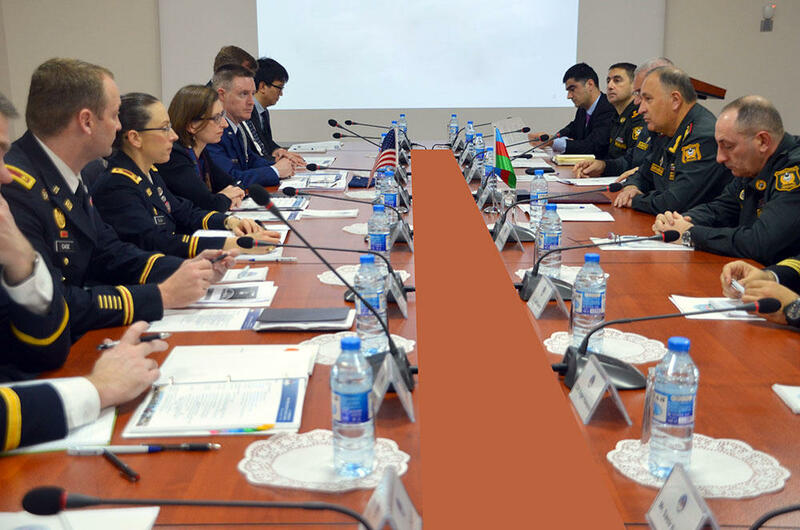 On Dec. 5, expanded military consultations were held between a delegation led by Azerbaijan's Deputy Minister of Defense for Personnel – Chief of the Main Department for Personnel Lieutenant General Karim Valiyev and a delegation led by the US Deputy Assistant Secretary of Defense Laura Cooper, the Ministry of Defense of Azerbaijan said in a message. During the consultations, a comprehensive exchange of views was held on expansion of the Azerbaijan-US military relations, security, military education, contribution of the Azerbaijani peacekeeping contingent to the non-combat mission conducted in Afghanistan, and other issues of mutual interest. Cooper particularly noted the exemplary service of the Azerbaijani peacekeepers in the “Resolute Support” mission conducted in Afghanistan. The guests were comprehensively informed about the situation in the region. The sides noted the importance of resolving the Armenia-Azerbaijan Nagorno-Karabakh conflict on the basis of the norms and principles of international law.